Soundcloud up and new audio available! We at the Robert and Carol Morris Center for 21st Century Music are happy to announce a new and improved soundcloud page -- so far we've uploaded 36 tracks of audio from past concerts and festivals, and the page is proving to be a great resource to listen to pieces and excerpts of large works from a tremendous variety of contemporary composers, including Hilda Paredes, Eric Chasalow, John Cage, Reiko Futing, Morton Feldman, Sofia Gubaidulina, Roger Reynolds, David Felder, and may more. All are invited to browse our page here. "Mr. Felder was represented by three movements from Rare Air (2009), a work that explores various aspects of the clarinet or, more properly, the agility of the group’s extraordinary clarinetist, Jean Kopperud. In “Blews” Ms. Kopperud performed on a tube instrument that she and Mr. Felder built for the score. 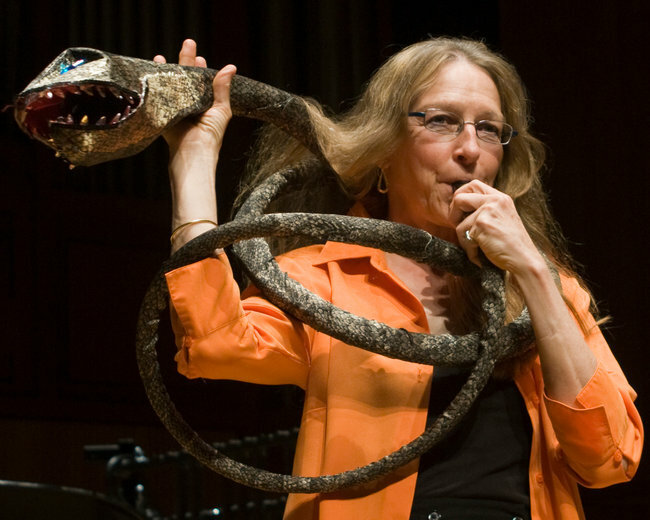 It looks like a boa constrictor; it’s hard to say how it sounds, since the score is heavily layered with electronic timbres and evokes a forest full of banshees. The other movements, “Boxmunsdottir” and “Boxmunsson,” are more conventional, if only by comparison. In both, Mr. Kopperud played a bass clarinet energetically and sometimes with a jazzy tinge, but always enmeshed in Mr. Felder’s evocative electronic scoring." You can read the rest of the review here, and listen to David Felder's "Boxmunsson" from Rare Air, on our soundcloud here. In a second review, Allan Kozinn offered some thoughts on a few of the larger ensemble pieces at the festival, including Impatience, by Julia Wolfe, "Ms. Wolfe’s Impatience (2005), an insistent, sometimes painterly accompaniment to a peculiar film of that name by the 1920s avant-garde director Charles Dekeukeleire, uses repeating figures and steady, tolling harp, percussion and piano pulses to evoke a tense emotional landscape, and odd touches like eerie accordion chords and sliding violin lines to create an otherworldly atmosphere. If those qualities seem conflicting, they capture the essence of Dekeukeleire’s primitive jump cuts and juxtapositions, and work splendidly on their own." Read the full review here and listen to Julia Wolfe's Impatience on our soundcloud here. Our first Slee Sinfonietta concert of the 2012-2013 season was a great success as well, and we were happy to be visited by Daniel J. Kushner, who had kind words for the program, and gave a glowing review of Robert Treviño's debut conducting performance with the Slee Sinfonietta, "It felt as if the conductor were prying open the dense orchestration to illuminate the sumptuous yet terse melodies nested inside, waiting to be discovered by the listener." You can read the rest of the review at the The Buffalo News, and listen to Ligeti's Melodien on our soundcloud here. 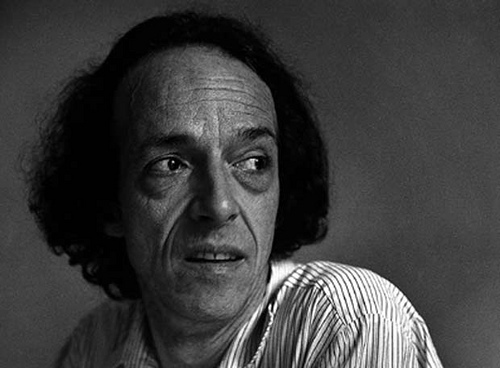 We at the Center were sad to hear of the passing of great composer and musical thinker Emmanuel Nunes earlier this month. Emmanuel Nunes produced a vast and diverse output of instrumental and electroacoustic works that intimately link space and time, movement and metamorphosis, and numerical symbolism and organic processes. 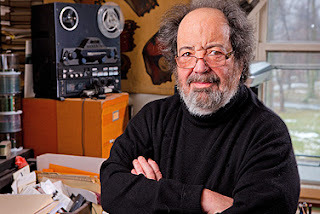 Nunes, originally born in Lisbon, Portugal, in 1941, had been living primarily in Paris since 1964, where he spent twelve years as a Professor of Composition at the Conservatoire de Paris and later worked at the Institut de Recherche et Coordination Acoustique/Musique (IRCAM). Nunes has also taught substantially at the Hochschule für Musik Freiburg, and the Gulbenkian Foundation in Lisbon, as well as at the Internationalen Ferienkurse für Neue Musik Darmstadt, where he studied extensively throughout the ‘60s. In an interview with our friends at the Huddersfield Contemporary Music Festival, Nunes remarked about his time studying with the Darmstadt gang, and how it pushed him to develop his own separate, distinct voice, “I learned quite a lot from the courses by Pousseur, Ligeti, and Boulez. At that time Stockhausen did not come to Darmstadt, and among the crowd of composers having a subscription to Darmstadt, two extremes were in: either the so-called sérialisme intégral, or the graphic scores tendency proclaiming their illusion of liberty. Quite often the acoustical result was nearly the same. Nunes’ work will be featured substantially at the Huddersfield Contemporary Music Festival 2012: Litanies du feu et de la mer I and Litanies du feu et de la mer II will be performed by Noriko Kawai, Improvisation IV - l'électricité de la pensée humaine will be performed by Quatuor Diotima, and Nachtmusik I will be performed by the Remix Ensemble. Listen below to Nunes’ La Main noire (2007) for three violas, performed and recorded in the studio by Christophe Desjardins, with accompanying video art by Sol mineur 5. In our last post, we took a look at our graduate composers at the University at Buffalo, who had an incredibly active summer participating in seminars, conferences, and festivals across all of Europe and the United States. We sat down with one of them, Nathan Heidelberger, a composer entering his third year at the doctoral program here, and asked him to talk about the places he went, the musicians he worked with, and the pieces he had performed. “This summer I spent a month as one of six participants in the Master Class Composition Program at the Aspen Music Festival and School. The travel to the Festival was made possible by a generous grant from the Robert and Carol Morris Center for 21st Century Music. 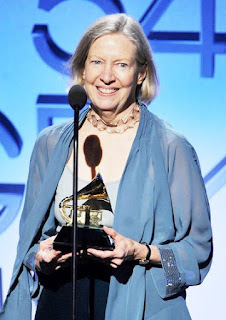 The program was led by Christopher Rouse, currently the composer-in-residence at the New York Philharmonic, and Augusta Read Thomas, a longtime friend of the Center. In addition to working with these two distinguished composers, the Festival afforded me the opportunity to take in a number of concerts performed by world-class musicians, get some focused composing done, and, of course, climb a few mountains. I was also treated to premieres of two of my pieces. “I wrote in flux / in flecks / influx / inflects, a trio for alto flute, viola, and metallic percussion, specifically for the Aspen Festival. It was premiered by the Aspen Contemporary Ensemble, an elite group of student performers under the direction of Sydney Hodkinson. The piece is an exploration of fluctuating sounds. There are rarely any steady pitches – rather, notes are constantly being destabilized through trills, tremoli, detuning, singing while playing, and so on. My goal was to create an iridescent and constantly shifting texture, one befitting the elusive charm of the “alto” instruments I was writing for. A revised version of this piece will be performed in Buffalo by the Norrbotten Neo Ensemble when they visit the Center in December. “My second performance at Aspen was the long-overdue premiere of an old orchestral piece, …moves through a space… I wrote the piece in 2009 at the end of my undergraduate studies at Oberlin Conservatory, but I was never able to hear it. The piece is mostly very sparse, with the full orchestra only coming together once or twice. A rocking, footstep-like figure is present almost the entire time, passed between different instruments, creating a sense of foreground behind which various other sounds drift in and out. The piece was performed in a reading session by the American Academy of Conducting at Aspen Orchestra, under the baton of Alexandra Arrieche, one of the Festival’s conducting fellows. Robert Spano, the conductor of the Atlanta Symphony Orchestra and the artistic director of the Festival, was also there to help guide us through the reading. Busy summer for UB graduate composers! 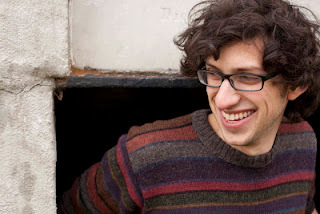 Jacob Gotlib was a selected as a participant composer for a two-week residency at the Wellesley Composers Conference in Wellesley, Massachusettes, where he studied closely with Pulitzer Prize-winning composer Melinda Wagner and June in Buffalo veteran composer Eric Chasalow. His piece, Year Without Summer (Daumenkino), was performed by some of today’s expert musicians, including conductor and friend of the Center James Baker, as well as UB faculty clarinettist Jean Kopperud. You can listen to Year Without Summer (Daumenkino) here. Juan Colón-Hernández spent two weeks at the soundScape Festival in Maccagno, Italy, just south of the French/Swiss Alps, where his piece Hazy Transmutations for violin and piano was performed, coached by pianist and conductor Thomas Rosenkranz. Dimitar Pentchev participated in this year’s June in Buffalo where his piece, 1:05, for clarinet, violin, cello, and piano was performed. Robert Phillips was selected to be one of twelve composers to spend two weeks at the Harvard University Summer Composition Institute, where his piece Shindō no su for flute, bass clarinet, glockenspiel, keyboard with laptop, violin, viola, and cello, was performed by the Talea Ensemble under the baton of Eduardo Leandro in Paine Hall at Harvard University. He was also invited be a panelist at the Harvard Colloquia during the final days of the Institute, where he discussed the topic, (Un)Original(ity), curated by Aaron Einbond, from the University of Huddersfield. 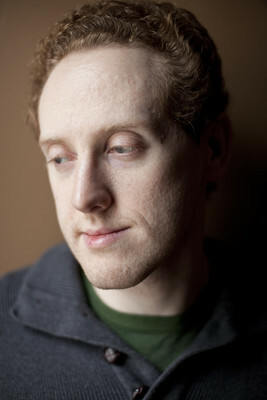 Nathan Heidelberger had perhaps the most active summer of all – he was chosen to be one of only six composers to spend a month at the Aspen Music Festival led by New York Philharmonic composer-in-residence Christopher Rouse and joined by longtime friend of the Center Augusta Read Thomas and visiting Pulitzer Prize winning composer Jennifer Higdon. Nathan’s piece, in flux / in flecks /influx / inflects, for alto flute, viola, and percussion, was performed by the Aspen Contemporary Ensemble, an elite group of student performers directed by Sydney Hodkinson. The festival also chose to workshop an orchestra piece of Nathan’s, titled Moves Through a Space, under guidance from conductor and Academy director Robert Spano. Nathan then continued on to the Cultivate Workshop at the Copland House, where his piece, Halve Time, for clarinet, violin, cello, and piano was performed. And the summer is not quite over yet! At the moment, Chun Ting Pang is currently in France participating as a selected composer at Fondation Royaumont with June in Buffalo veteran composer Brian Ferneyhough, and Diana Soh is just beginning her second year as an invited composer for the Cursus II at IRCAM. Several other University at Buffalo musicians and performers were active this summer as well. UB graduate clarinetist, philosopher, and musicologist Christopher Culp attended the fresh inc. festival in Kenosha, Wisconsin, where he worked with some of today’s top new music composers and musicians, and performed Olivier Messiaen’s Quartet for the End of Time and Francis Poulenc’s Sextet. UB undergraduate flutist Jamie Sweringa spent two and a half weeks at the Orfeo Music Festival in Vipiteno, Italy, where she studied with flutist Elizabeth Goode and performed in several solo, chamber ensemble, and orchestra performances, and UB undergraduate trombonist Matt Stewart was able to attend both the Atlantic Brass Quintet Summer Seminar and the Summer Brass Institute. Robert Treviño conducts the Slee Sinfonietta to kick off the 2012-2013 season with Berg, Ligeti, and Adams! 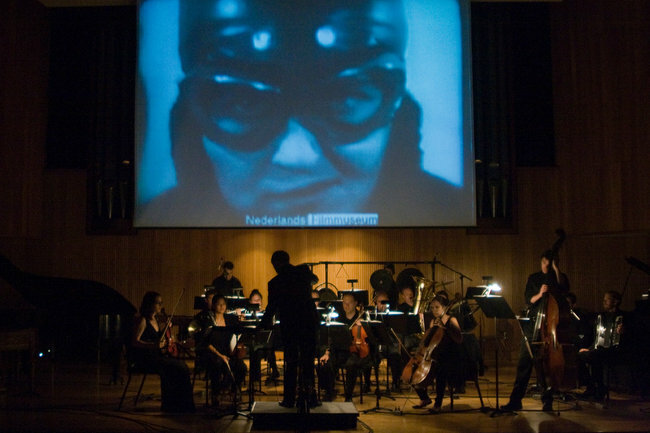 The Center is pleased to announce the first Slee Sinfonietta concert of the 2012-2013 season, on Monday, September 24th, at 7:30 p.m. in Lippes Concert Hall. We’ll be welcoming a handful of exciting guests, including conductor Robert Treviño, violinist Yuki Numata, and pianist Daniel Pesca, for a concert of pieces by Alban Berg, György Ligeti, and John Adams. 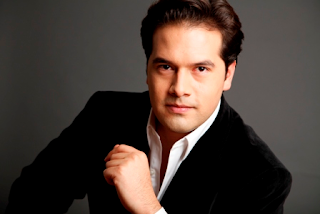 Our guest conductor Robert Treviño has an impressively long resumé for someone who his only 28 years old, and is currently serving his second season as the Associate Conductor of the Cincinnati Symphony Orchestra, as well as debuting this year with the California Symphony Orchestra and the Shippensburg Music Festival. He has worked with a long list of ensembles, symphonies, and orchestras, including the Orchestras of Cleveland and Philadelphia, the Symphonies of Cincinnati, Baltimore, Charlotte, Memphis, Napa Valley, New World, the Philharmonics of Chicago, Louisiana, Tanglewood Music Center Orchestra, Aspen Music Festival Orchestra, Suwon Philharmonic of South Korea, Wuppertal Symphony of Germany, Montpellier National Orchestra of France, Universidad Nacional Autonoma De Mexico Philharmonic of Mexico, the Millennium Chamber Players, and the Jusqu’aux Oreilles Festival of Canada. Treviño also served a month-long residency with the Helsinki Philharmonic, where he assisted Music Director Leif Segerstam through a season of the complete symphonies of Sibelius. 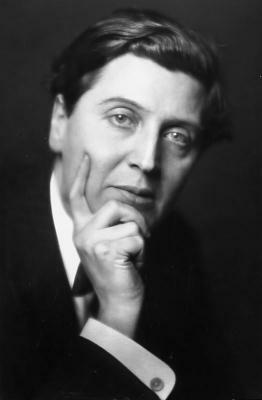 The first half of the program will include Alban Berg's op. 5, Four Pieces for Clarinet and Piano, featuring UB faculty pianist Eric Huebner and UB faculty clarinetist Jean Kopperud, and Berg’s Chamber Concerto for Violin and Piano with 13 wind instruments, which will feature guest soloist violinist Yuki Numata, whose playing has been described by the New York Times as possessing “virtuosic flair and dexterous bravery,” and guest pianist Daniel Pesca, who was recently in residence at the Aspen Music Festival. The second half of the program will feature some exciting and rarely performed works from the late 20th century: György Ligeti's Melodien, and John Adams' Chamber Symphony. For information about tickets, contact the UB Department of Music Concert Series. The Robert and Carol Morris Center for 21st Century Music and Lippes Concert Hall is proud to host Working in Time: A Celebration of the Arts in Honor of Bruce Jackson, presented by SUNY Distinguished Professors Bruce Jackson and David Felder, on Friday, September 21, 1:00 – 5:00 p.m., in Lippes Hall. The event, which is free and open to the public, is sponsored by the University at Buffalo Office of the Vice President for Research and Economic Development, and will celebrate the art of James Agee Professor of American Culture in the Department of English, Bruce Jackson, a Guggenheim Fellow whose interdisciplinary career as an artist and scholar integrates literature, music, ethnography, folklore, sociology, photography, and documentary film-making. He has written or edited 32 books, one of which is the recently published In This Timeless Time: Living and Dying on Death Row in America, in which he collaborated with UB English Professor Diane Christian, who will act as moderator throughout the day. Jackson has had 20 solo photography exhibits, including Death Row, on view this fall at the University of North Carolina at Chapel Hill. Next Spring, the Burchfield Penney Art Center will present an exhibition of more than 350 of his photographs. The day will open with greetings from UB President Satish K. Tripathi, who speaks with great respect about Jackson’s work, “UB has a long history of leadership in scholarly and creative excellence at the vanguard of the arts, and as we launch a new annual tradition that celebrates that tradition of cutting-edge work, Bruce really emerged as an ideal figure to spotlight in this inaugural event. The day will also showcase images from Jackson’s forthcoming book Inside the Wire: Photographs from Texas and Arkansas Prisons, as well as music from Jackson’s Grammy-nominated album Wake Up Dead Man. American filmmaker and documentarian Frederick Wiseman will also participate, and screen his most recent film, Crazy Horse. After the event, at 5:00 p.m., there will be a reception at the nearby UB Center for the Arts Atrium, where all will be invited to participate in an open discussion with Bruce Jackson, David Felder, and Frederick Wiseman. Announcing the Fall 2012 Season at the Center! We at The Robert and Carol Morris Center for 21st Century Music are excited to announce our Fall 2012 Season! June in Buffalo 2012 was a great success and a stimulating week of fresh new compositions and performances, as well as, in the words of the great New York Times music writer Allan Kozinn, “an intensive weeklong boot camp for budding young composers.” Allan Kozinn wrote up two great reviews of June in Buffalo 2012 in the New York Times, which you can read here and here. Our Fall season already began on August 25, when UB graduate composer Matt Sargent served as the music director for American Grain, a multimedia performance event for the Marine A grain elevator of Silo City, in Buffalo, NY. The event featured, amidst dance performances, an array of art on the walls, and tours throughout the silo, a cello quartet written by Matt and headed by UB faculty cellist Jonathan Golove. Read more about the event at the Buffalo News. Our next event will be Working in Time: A Celebration of the Arts in Honor of Bruce Jackson on September 21. The event will celebrate the life and works of documentary filmmaker Bruce Jackson, who is the James Agee Professor of American Culture at the University at Buffalo. Working in Time will feature music by UB Birge-Cary Chair in music composition David Felder, and also feature projects by filmmaker Frederick Wiseman, and UB poet and documentarian Diane Christian. Working in Time will take place on Friday, September 21, 1:00-5:00 p.m., in Lippes Hall. Our first Slee Sinfonietta concert will be on Monday, Sep. 24, and will showcase two pieces by Alban Berg on the program: his op. 5, Four Pieces for Clarinet and Piano, and his Chamber Concerto for Violin and Piano with 13 wind instruments, featuring violinist Yuki Numata and pianist Daniel Pesca, under the baton of Robert Treviño. The program will also include Gyorgy Ligeti’s Melodien, and John Adams’ Chamber Symphony. On Wednesday, October 10, we will be hosting composer Jake Romig from Western Illinois University for a day of composer master classes and workshops, as well as a presentation on his own music. Our second Slee Sinfonietta concert will be on Tuesday, October 30, and will offer an exciting and dynamic program of late 20th century works, under the baton of Maestro Daniel Bassin, including: Karlheinz Stockshausen’s Kreuzspiel, Gyorgy Ligeti’s Horn Trio, Morton Feldman’s De Kooning, Tristan Murial’s Vues Aériennes, and Witold Lutoslawski’s Dance Preludes. Our concert will again include violinst Yuki Numata, alongside horn player Adam Unsworth, and UB faculty pianist and New York Philharmonic pianist-in-residence Eric Huebner. From November 26th to 28th, violinist Curtis Macomber, from the Manhattan School of Music, will visit the Center, alongside UB alumn and two-time Grammy winner of the award for Classical Producer of the Year, Judith Sherman. 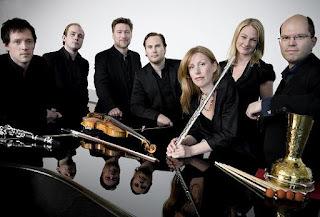 For three days they will run a workshop on recording, editing, and producing Classical music. 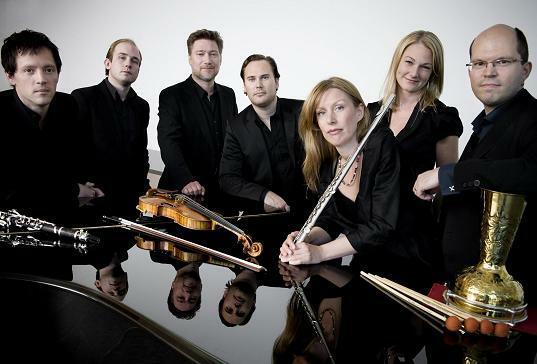 On Tuesday, Dec. 4, the expert contemporary music ensemble from Sweden, and longtime friend of the Center, Norrbotten Neo, will join us for a composer workshop. The next day, on Wed., Dec. 5, they will give an evening concert. Spring at the Center will be even more active than the Fall. April's Slee Sinfonietta concert will feature bass singer Ethan Herschenfeld, soprano Laura Aikin, and about 30 musicians from SIGNAL Ensemble, for the premiere of David Felder’s Les Quatre Temps Cardinaux (The Four Cardinal Seasons), a commission from the Koussevitzky Foundation. Also on the program will be Felder’s Tweener, featuring UB percussionist Tom Kolor. Spring will also include visits from composer Phillipe Hurel, French ensemble Court-Circuit, and Oberlin composer Josh Levine. New York City’s Talea Ensemble, who were originally scheduled to come in October, will now come for June in Buffalo 2013, stay tuned for details on the upcoming June in Buffalo!